Sleek and sophisticated, the Tazer Spring-loaded Money Clip will keep you looking suave and in charge at business lunches, on date nights, and all occasions where you want to create a lasting impression! 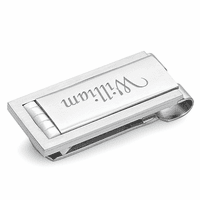 The money clip has a polished silver body with satin edging and fine gold-plated details. 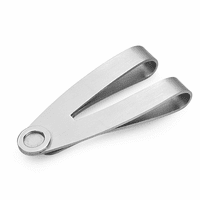 The spring-loaded grip allows you to easily secure 20 to 25 folded bills and a few credit cards. 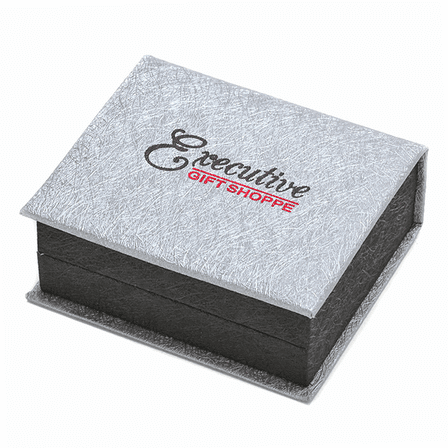 Free custom personalization adds a distinctive touch, and the money clip will be packaged in a gift box. Excellent product. 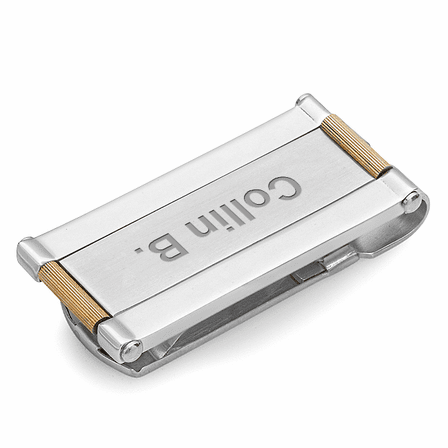 I used the same money clip for years. 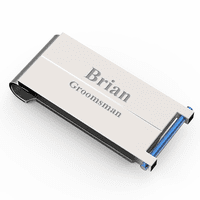 I lost it and replaced it with this one. 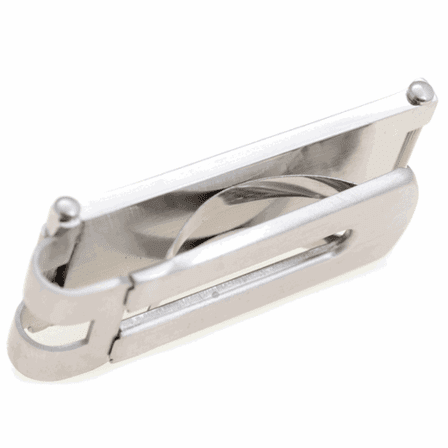 Holds from a small amount to a large portion without losing tightness. Very satisfied with my purchase.